I tired your steps that you listed and I was not able to get them to work. I am still receiving the "Error getting product info. Please check network connection and try again." Bethesda says the error due to firewall blocking the application, but is decidedly unhelpful with steps to "allow" the application. 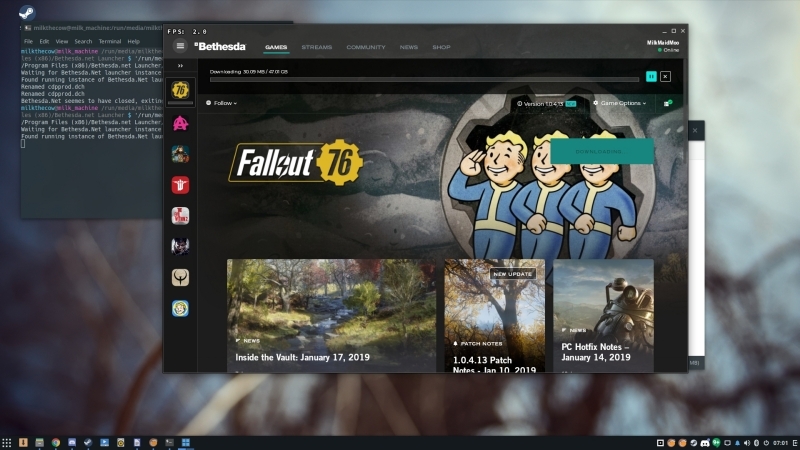 I have event tried coping the game over from a Windows PC, but the launcher doesn't recognize that it has the downloaded file. Any help you or anyone else that is reading this post would be greatly appreciated.